The issues being grappled with begin with implicit bias that inhibits inclusiveness and equity in the arts. These problems plague other industries too, obviously, but as the co-founder, and founding director of Women of Color in the Arts (WOCA), this is where Johnson's efforts are focused. 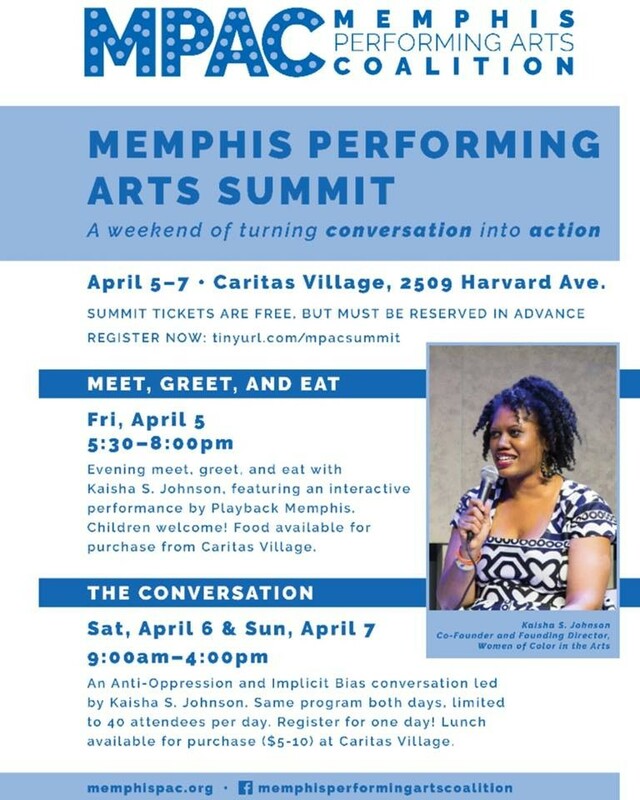 She’s coming to Memphis April 5-7, to facilitate conversations for the inaugural Memphis Performing Arts Summit, an event created by Memphis Performing Arts Coalition (MPAC). “MPAC along with a lot of other organizations around the country, are all looking for change, right?,” Johnson says, laying the groundwork for subverted expectations. “The first step— We need to be on the same page in terms of language and how we think about things and how we express ourselves, right?" Right! in the world. What we do is facilitate conversations. We instigate dialogue so people can begin to think differently about how they work. To think differently about impact — the impact direct and indirect actions have on their colleagues. On their fellow humans. That’s the work we’re immersed in. MPAC is a, "coalition of Memphis performing artists working in a collaborative way to engage our community to promote equitable and safe practices." The Memphis Performing Arts Summit kicks off Friday April 5th, 5:30-8:00 with an introductory "meet and greet." Saturday April 6th or Sunday April 7th, 9am-4pm: Pick either day. We will be providing the same facilitated dialogue on both days, to reach as many people as possible. Limited to 40 attendees per day. On both days, we will have a delicious lunch at Caritas Village (not included; lunch prices range from $5-$10). How do we create safer and more equitable spaces in our small companies, artists studios, as well as the major institutions in this city? With the right tools, artists can leverage their collective power to institute new practices that dismantle systems of inequities.Together we can harness our energy and engender a community of learning and sharing with a weekend of community action and professional development at Caritas Village. 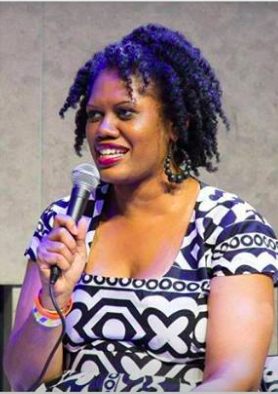 Kaisha S. Johnson is Co-Founder and Founding Director of Women of Color in the Arts (WOCA), a national service organization dedicated to creating racial and cultural equity in the performing arts field. Johnson, who recently received the Sidney R. Yates Award for Outstanding Advocacy on Behalf of the Performing Arts from APAP, will guide our community through an anti-oppression and implicit bias dialogue as well as facilitate next steps on helping us implement fair practices in the community. For more information about the Memphis Performing Arts Summit click here. Five women tell stories of harassment and abuse; Playhouse on the Square won’t release the results of sexual misconduct investigation.